We have a rich history creating marketing software for businesses in Australia & across the world. We have been compiling comprehensive databases & giving our clients easy access to these listings since 1983. Our flagship product Australia On Disc is a product that has stood the test of time due to our uncompromising policies on quality & affordability. It’s in active use year-after-year by Fortune 500 companies, Australian Government departments, PhD students, Market Research Companies, Small Businesses & the list goes on. Since inception we have gained a reputation as producers of some of the best business marketing tools. In fact, many businesses attribute UDS products as an essential key to their business success. Australia On Disc was originally sold on the shelves of Harvey Norman but we have since identified the need for quick online purchasing and embraced the internet as our main point of contact. This also allows us to focus on the most important part of our business – updating & maintaining the best business & residential databases in Australia as well as keeping distribution costs down so we can pass on the savings to you. Since the very early eighties, marketing managers of both small and large companies had seen significant sales-lead generation potential in the Yellow Pages, and to a somewhat lesser extent, the White Pages. In late 1983, the former College Mercantile Group, a very successful Australian-owned and operated competitor to Dun and Bradstreet (Australia) P/L, was the first local company to make commercially available the national Yellow Pages. This was the first product of it’s type allowing selections by category and/or geographic area, remembering of course that then as now, the fifty-five printed national telephone directories all remained “un-postcoded”. Clients were offered the option of a range of mailing labels or to have their data supplied on ASCII or EBCIDIC magnetic tape. Given that a PC with a 40 megabyte hard-disc was considered cutting edge then, mailing houses were mostly running mainframes. In 1985, College Mercantile was taken over by the Canadian-based Moore Business Systems Group although the Yellow Pages sales division National Data continued unchanged. The following year however saw mass retrenchment and divisional closures, of which National Data was one. In 1986 three ex-staff members incorporated a new company – International Data Pty Ltd, which was formed principally to continue and expand the operations of the former National Data. With offices in Melbourne and Sydney, the only persons less than enthusiastic about this development were the Board of Moore Business Systems themselves. These Yellow Pages advertising sales in the mid 80’s were (annually) a million dollar business. The only downside were the prohibitive costs of running a mainframe 24/7. Inevitably, conflicting directorial policy, some operational disagreement and financial unrest, claimed another partnership. International Data Pty Ltd was split, the Melbourne operation some years later, destined to become Desk Top Marketing Systems (DTMS) who like Dependable Database Data‘s business CD-ROM division are now but a distant memory having been on the wrong end of a High Court decision regarding Telstra’s alleged copyright, mid 2004. At the time of AOD’s release, it was estimated that there were less than six hundred cd-rom drives in the country, and the majority of those in Government use. Given that the external CD drives then at well over $2000, were three times the R.R.P. of AOD itself, the product needed a boost. That it received not a month later, when a segment of the ABC’s high-rating & iconic TV show Beyond 2000 featured “The wonders of a disc that replaces 55 telephone books” which the program host had stacked floor to ceiling behind him. It was impressive stuff. “Australia On Disc” had arrived. However some months later, following alleged stock-take “anomalies” and with attorneys gearing up for a major question and answer session, Philips Telecommunications and Data Systems shut down their cd-rom division overnight, re-assigned every staff member (some overseas) and “Australia On Disc” went into enforced hibernation. The following year, with the market-place demanding an upgrade, a deal was struck between UDS and another Sydney-based company – Read Only Memory Pty Ltd (appropriately enough) founded by three former staff members of the Phillips Group. “Australia On Disc 2” hit the streets midway through 1989, split now into a separately purchasable “Business” and “Residential” disc. AOD 2 outsold the original disc two to one. Also released that year was the inaugural “New Zealand on Disc” which curiously enough was distributed by Philips themselves in Auckland. It was in 1990 that indisputably the best and most successful of the early AOD series was released “Australia On Disc 3.” If this had been a car, it would have been a 1951 2 1/2 litre Riley. Sales went through the roof for this disc. Internal CD-ROMs were becoming common-place and now at a fraction of the cost they were two years earlier. D.T.M.S. meanwhile had launched their first disc. It was common knowledge that Australia On Disc’s biggest client then, was none other than Telstra themselves, who under a ‘Commercial Licence’ arrangement, used many copies of the product inter-departmentally on a national basis. Telstra’s Marketing department also sold and promoted internally generated lists off the disc for contracted third parties. Early 1991 and once again the spectre of shady business-practises destroyed any realistic possibility of a continuing partnership. Read Only Memory Pty Ltd was by necessity shelved as a co-venturer and a third partner (in as many years) brought in. Brylar Pty Ltd, having gained credibility and market-place acceptance with their high-profile contact-tracking system “Contacts Plus,” were assigned the task of bringing in “Australia On Disc 4” on time for the July Marketing convention at Sydney’s Darling Harbour. Under pressure from time constraints, what was finally trucked into the pavilion literally at the very last second, for demonstration to the clustered horde of users desperate to update AOD3, was a disc that simply did not work. Not only that, more than one thousand replicated discs sat in Brylar’s warehouse. Not a great demand for round metal drink-coasters that year! Brylar were handed the rights to produce and market “Australia On Disc 4” indefinitely. Regrettably they found themselves bankrupted and were taken over lock, stock and compact-disc by the Dependable Database Group themselves. Read Only Memory‘s fortunes burned bright for a while with their fully unauthorised “cover” product, “Oz On Disc.” But finances, internal conflict and quite possibly karma, took their toll. ROM, as they were known, were sent out backwards by Telstra in the mid to late nineties, the first company to be closed-down over alleged “copyright ” breach. UDS continued to produce “Australia On Disc” during the nineties – as far as version eight, along with companion products such as “New Zealand on Disc 2,” “Oz Biz 2 (The second Australian Business Compendium)” and its first tentative foray into the Asian market with the well-received but rather poorly marketed “Hong Kong on Disc” in 1997. Dependable Database Data meanwhile had now cranked up AOD4 into working mode and had begun releasing successive versions of their appropriately named “Brylar’s Australia on Disc,” which was put out of Telstra’s misery by the High Court in late December 2003. Thus by 2006, the wheel had almost turned full circle, leaving United Directory Systems alone once more at database Ground Zero… and Australia On Disc, well into middle age! Australia On Disc 9 and 10, offering a greater degree of data-enhancement than ever before, was co-produced with Sydney-based RWS and maintained the popularity of its predecessors. During this period, United Directory Systems relocated to the American Midwest. In 2007, Australia On Disc was acquired by a new corporate structure – United Directory Systems (UK) The disc is now produced in the United Kingdom and is far better served from an International viewpoint. Australia on Disc 2008 edition carried the product through to its “twenty-year anniversary” in May 2008 and was ably supported the following year by the popular 2009 release. The significantly updated Australia On Disc 2010 continued to value-add to many Australian companies’ marketing strategies. February 12th 2010 now holds particular relevance for Australia On Disc. It was on that day that common sense prevailed when the NSW Federal Court reversed the 2003 court ruling that Telstra held “creative” copyright to the White and Yellow pages. It has meant that Australia On Disc has been able to return to its origins and supply far more current “across the board” data than has been possible the last few years. Australia On Disc 2011 (both Business & Residential) consequently, far outsold its predecessors, paving the way for the latest releases. 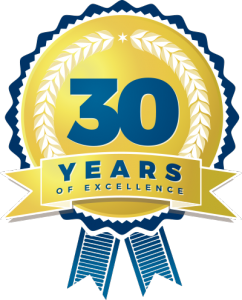 In 2016 we have celebrated our 30 year anniversary here at United Directory Systems. From our early days UDS has always been a pioneering force, being the first company in Australia to provide a “Yellow Pages On Disc” database in the 1980’s. The first incarnation of Australia On Disc was even featured on the iconic TV show Beyond 2000! Australia On Disc has improved greatly every year and it certainly has a lot more information and features since these humble early days. If you are looking for a Yellow Pages on Disc or White Pages on Disc these days you will find they don’t exist as such however Australia On Disc is the best alternative. The latest 2016 version of Australia On Disc is now available. Besides updated data, many users will be gratified to learn that the database is once again SIC and ANZSIC coded, a luxury that time did not permit us to include with previous versions of AOD. We have also overlaid many thousands of ABN numbers for Corporate reference this year – something many clients have requested the last few years. Hopefully we will be able to continue increasing the incidence of ABNs with later releases. Visit the Business Database page for more information. Due to popular demand we have re-updated our 2015 Residential disc which is now on sale. Skipping the 2014 version to focus on a huge update for 2015, AOD residential is now more up to date than ever. Visit the Residential Database page for more information. AOD is refresh and updated each year with the goal of improving provide speed and ease of use for all users. Long gone are the days of purchasing in store. Purchase online, direct from the developer – and save.